When you are looking for beautiful, unique receptacles for your loved one's cremation ash remains, we invite you to look at the Fremont Memorial Chapel cremation urns store. The option to cremate the remains opens up a dozen new choices: what to do with the ashes. Cremation urns are a traditional receptacle for the storage of ash remains. There are at least a dozen more ideas you may wish to consider for the storage, disposal or transformation of your ashen remains. Some of the more modern options open to the adventurous include incorporation of the cremated remains into a living coral reef, a jewelry creation or into handblown glass, planting them with a tree, even sending them into space. The Fremont Memorial Chapel Cremation Urn store offers cremation urns that range from the traditional to the highly personalized. In addition to wood urns, biodegradable urns and marble urns, our ceramic cremation urns are hand made works of art. Fremont Memorial Chapel offers cremation services at our Fremont CA site. The Memorial Chapel is a place where you will be treated with respect by our caring and professional staff. We are the Rose family and we independently own two exceptional funeral homes in Fremont CA. Fremont Memorial Chapel is the company you can trust for all types of funeral, memorial, and veterans’ services. Our professional and caring staff offer unique opportunities for families to create healing moments after loss. 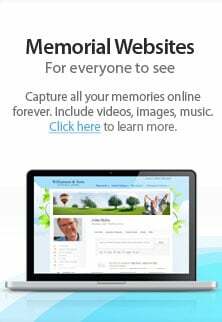 We will help you discover ways to pay tribute to your loved one in a personal way. Fremont Memorial Chapel is committed to online or group grief support. The practice of gathering at a memorial ceremony or service is part of the healing process for those left behind. We have an excellent reputation for high-quality, dignified funeral services for the families we work with. Our funeral directors give personal attention to each detail. We pride ourselves on being meticulous and detail-oriented from the moment of first contact with the family. Call today for more information: (510) 793-8900.